Rosehip & shea intensive moisture créme. Dry & sensitive skin. Replenish and soften skin. Intense day and night hydration. Australian made & owned. No sulfates, parabens, silicones, ethoxylated cleansers, pegs, phthalates, mineral oil, synthetic fragrances and animal derivatives. Not tested on animals. No artificial colours. 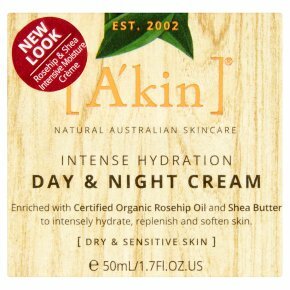 100% vegan.An intensely nourishing and antioxidant rich cream combining Certified Organic Rosehip Oil and Shea Butter to hydrate, replenish and soothe dry skin. How to use: Apply morning and night to cleansed face, neck and decolletage.